Kathy Dawson Books, 9780525428459, 304pp. Then DB, a boy from the local juvenile detention center comes to stay with Lyndie's best friend, Dawn. He's as friendly and open as a puppy. There to shape up his act, he has an optimism that's infectious. But it puts Lyndie in direct opposition to her grandmother who'd rather keep up appearances than get her son the help he needs. Gail Shepherd received her creative M.A. from the University of Florida in poetry. She has collaborated on radio plays, written comic serial magazine stories, and published her own biweekly indie newspaper. She currently works in the K-12 education industry, supporting teachers and schools with training and technology. She is a fourth generation Floridian on her mother's side, and she lives in South Florida now with her little family, two dogs, and an awful lot of mosquitoes. 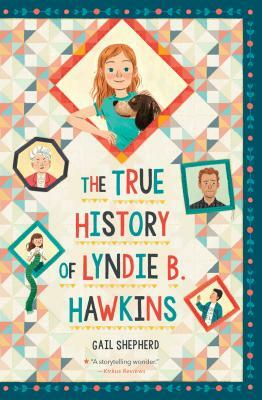 The True History of Lyndie B. Hawkins is her debut novel.